This Land of Monsters at Walker Stalker Con, Atlanta! We are counting down the days until This Land of Monsters by our new author, Tim Gabrielle, releases this Fall! In addition to this anticipated release, Tim will be attending Walker Stalker Con in Atlanta, Georgia this year! Walker Stalker Con takes place October 26-28 at the Georgia World Congress Center (Hall A). Tim will have a table at the event and will be signing brand new copies of This Land of Monsters, an apocalyptic zombie novel with all the fixings of a suspenseful Halloween read! *Trade in the points for gift cards and prizes! Become a member and get the book of the month for free. Review the book of the month on major retailer websites and earn points. Participate in street team events and earn points. Cash in the points for rewards and prizes. 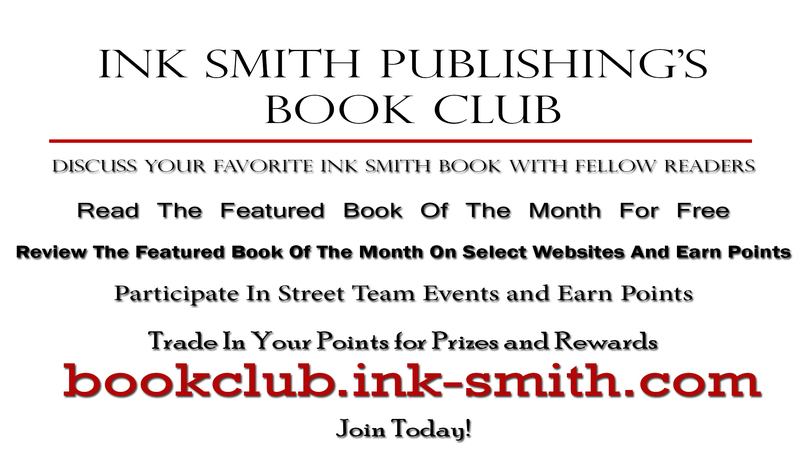 Discuss with other readers about your favorite Ink Smith Author.